National Council of Churches, New York City: associate general secretary and director of communication for this ecumenical network of 36 denominations and 140,000 congregations, 2001-present. Hong Kong Baptist University, Kowloon, China: North American representative for the only Christian university in the Peoples Republic of China, 1996-2001. Helped build an American constituency to undergird its ministries, and engage 50 partner universities in a study-abroad program. National Foundation for Youth, Clearwater, Florida: Founding president and executive director,1994-1996, of this charitable organization established by former Eckerd Drugs chairman Jack Eckerd and his wife Ruth. Samford University, Birmingham, Alabama: vice president for university relations of this 4,500-student school during a time of extensive change, 1986-1994. 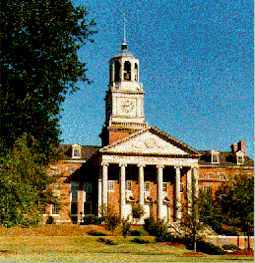 Southern Baptist Theological Seminary, Louisville, Kentucky: From 1965-1986, served on the staff of this national graduate-professional school, as vice president for development and public relations, and executive director of Southern Seminary Foundation. Served as capital campaign and public relations consultant to Baptist Theological Seminary at Richmond, Virginia, 1997-2001, helping Development Director Bob Spinks and President Tom Graves build constituent support for this rapidly-growing young seminary. Directed planning studies and served as a consultant to the board of Cornerstone Schools, a private inner-city school system in Birmingham, Alabama, 1997-1999. Conducted pre-campaign analysis, planning studies and on-site management for various clients of the First Counsel consulting firm of Charlotte, North Carolina. Held several media communications positions, including broadcast news reporter and anchor for WGAU, Athens, Georgia, and WBRC, Birmingham, Alabama; account executive, Forbes McKay Advertising Agency, Birmingham, Alabama; and newspaper reporter, Athens Daily Banner-Herald, Athens, Georgia. Writer, editor, producer and on-camera host of numerous educational video productions for Crescent Hill Media, Louisville, Kentucky, 1973-present, and writer and moderator for a series of satellite-delivered national teleconferences produced for non-profit organizations by United Methodist Communications, Nashville and New York City, 1991-1998. Ohio State University: Earned MA in journalism and mass communications, 1965. Served as business manager for the Ohio State Daily Lantern, 1963-1965. University of Georgia: Earned AB in journalism, 1962, Henry Grady College of Journalism and Mass Communications. Warren Deem Institute at Columbia University: Postgraduate study in management on a fellowship from Lilly Endowment, 1983-1984. Public Relations Society of America, New York City : Earned APR professional accreditation, 1979; honored with election to PRSA's national College of Fellows, 1993. National Society of Fund-Raising Executives, Alexandria, Virginia: Earned CFRE professional certification, 1987; honored as NSFRE Fund-Raising Executive in Alabama, 1990. Council for the Advancement and Support of Education, Washington, DC: Honored with the national U.S. Steel Award for Sustained Excellence in Advancement, 1979. Served as chair of the Senior Professionals Section of CASE, Southeast Region, 1989-1990. For ten years, 1984-1994, chaired the promotion and development committee of the 45-million-member Baptist World Alliance, Washington. National president of the New York-based interfaith professional organization Religion Communicators Council (formerly Religious Public Relations Council), 1990-1992. Earlier, was national president of the Baptist Communicators Association, 1974-1976. Member of Baptist Church of the Covenant, a multi-racial inner-city Birmingham church affiliated with the Cooperative Baptist Fellowship and the Alliance of Baptists. Selected for Leadership Louisville by the regional chamber of commerce. Co-chair of the founding committee for the Louisville-area Faith Channel, an ecumenical television ministry serving 100,000 homes. Telecommunications chair for Kentuckiana Metroversity, a consortium of two liberal arts colleges, two state universities, a community college and two theological seminaries. Served as president of the Bluegrass Chapter of Public Relations Society of America , and as accreditation chair of the Alabama chapter. Also served on the board of the Birmingham Broadway Series, Inc.
Pat, a native of Mobile, Alabama, spent his teenage and college years in the Atlanta, Georgia, area. In 1967 he married Zelma Mullins Pattillo, a native of Wise, Virginia. She has served in congregational ministry and hospital chaplaincy and is currently coordinator of spiritual care for New Beacon Hospice, a joint program of Baptist and Catholic health systems in Birmingham. She earned the BS in math, MA in Christian Education, and MDiv plus extensive training in clinical pastoral education, and is a Board-certified chaplain. Pat and Zelma's travels have taken them to all 50 states and to 45 foreign countries, including Brazil, China, Czech Republic, Denmark, India, Ireland, Italy, Morocco, New Zealand, Russia, Switzerland and Thailand. Their daughter, Laura G. Pattillo, holds the MA and PhD from Louisiana State University, and the BA from the University of Richmond, VA. She was a dramaturg at Actors Theatre of Louisville and taught at Indiana University Southeast, Bellarmine University, and the University of South Carolina-Sumter. 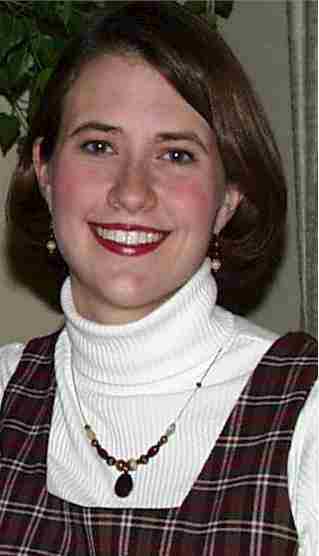 She is now an assistant professor of English at St. Joseph's University, Philadelphia, PA.
Their son, Stephen R. Pattillo, holds a BA in economics from Duke University, with additional study on the Pacific Rim economy at the University of New South Wales. From 1998-2002 he was resident director of the Singapore office of the US-ASEAN Business Council, Washington, DC. He now lives and operates an international consulting business in Sydney, Australia. He enjoys golf and adventure travel.